On a rainy Monday morning, I found myself at the corner of Wilson and Central in the sleepy college town of Augusta, Georgia, in front of an unassuming house that makes some amazing coffee. I have a tendency to search for the best coffee shops any place I travel to. This southern town, about two hours east of Atlanta is known mainly for hosting the US masters golf tournament every year. It’s a friendly place where just walking down the street people will say “hello” and wish you a good day. Similarly, Buono Caffe Artisan Roasted Coffee, like a good cup of coffee, is warm and inviting. It was barista Stu’s first day and he helped me select a beverage from their extensive, but not overwhelming menu. He then expertly prepared a pour over, (medium roast, single origin) which was easily the best coffee I’ve had all summer. Besides the liquid offerings (they also serve Italian sodas), there are muffins, cinnamon rolls, and sandwiches. I had an asiago egg white breakfast sandwich to go with my coffee which was very tasty. Still wanting to try more, I grabbed a morning glory muffin to go as recommended by barista Carsten. 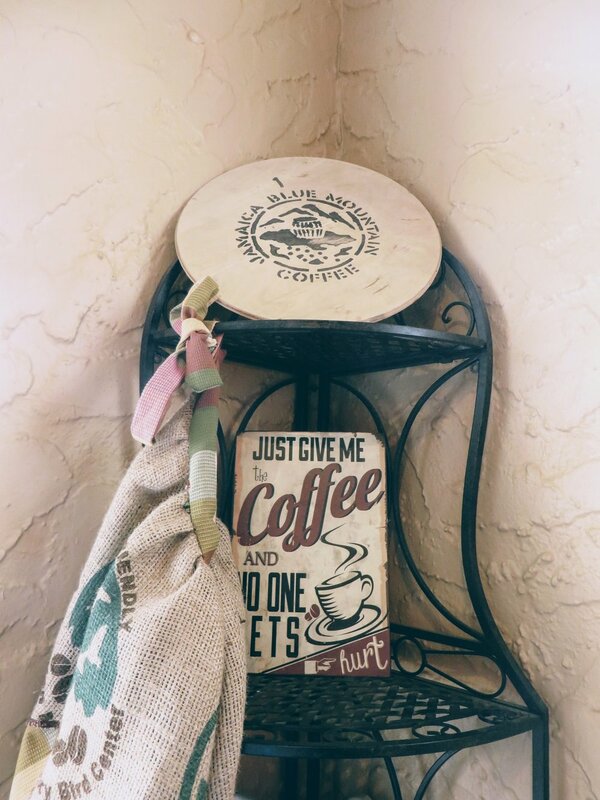 The decor is coffee focused, as the coffee is roasted on site. In fact, the entire place seems like a cup of coffee – warm and inviting, like you could linger there for hours. There are a few side rooms if you need a quiet place to study or chat. The baristas are always there to refill mugs in case any run empty. The staff seems to know its customers well, often addressing them by name. The friendly, homey feel adds to the laid-back vibe. In fact, the entire place seems like a cup of coffee – warm and inviting, like you could linger there for hours. There are a few side rooms if you need a quiet place to study or chat. The baristas are always there to refill mugs in case any run empty. The staff seems to know its customers well, often addressing them by name. You should never judge a book by it’s cover, but maybe you should judge a city by its best coffee house! Buono Caffe let’s people connect over coffee, and is a gem for any coffee lover.